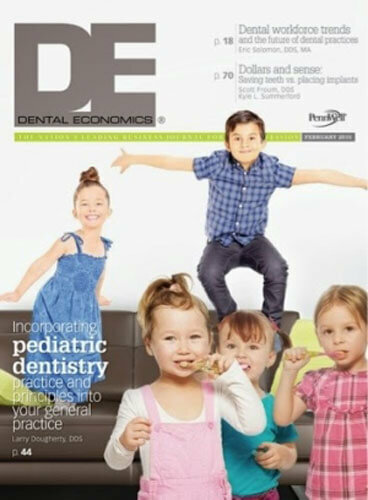 Dr. Froum is the editorial director of Perio-Implant Advisory e-newsletter, as well as a contributing author for DentistryIQ and Dental Economics. 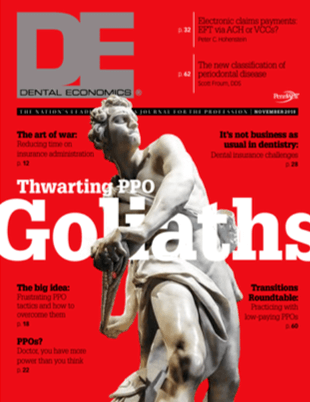 He also serves on the board of editorial consultants for the Academy of Osseointegration’s Academy News. 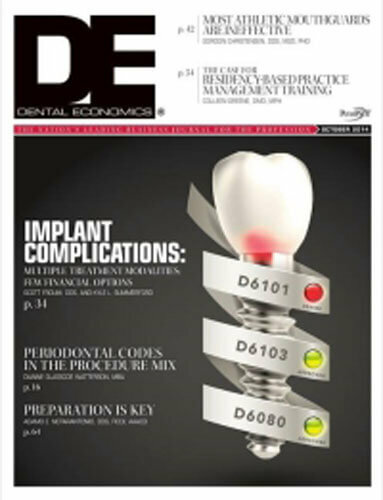 Recently, a combined effort by the American Academy of Periodontology (AAP) and the European Federation of Periodontology (EFP) resulted in the Proceedings of the World Workshop on the Classification of Periodontal and Peri-Implant Diseases and Conditions. These changes for the new classification of periodontal and peri-implant diseases included labeling tooth and dental implant disease as well as staging (I–IV), distribution (generalized versus localized), rate of progression, and anticipated response to treatment.1 Although the new classification was comprehensive in discussion as far as the justification for labeling types of disease, very little was said regarding the treatment for disease. In addition, what was mentioned about anticipated response to treatment for disease was based on classical periodontal treatment methods. Recently, a committee representing both the American Academy of Periodontology (AAP) and the European Federation of Periodontology (EFP) met with the charge of updating the 1999 classification of periodontal disease and conditions.1 The Proceedings of the World Workshop on the Classification of Periodontal and Peri-Implant Diseases and Conditions consists of 19 review papers and four consensus reports. This article will provide a simple summary of the new classification of periodontal disease and peri-implant disease, as well as discuss staging and progression of periodontitis. This information can be used to explain treatment needs to both patients and insurance companies. For more detailed information regarding changes to disease classification, it is recommended that the full proceedings of the World Workshop of the AAP and EFP be consulted. Not a day goes by without a radio, television, internet, or newspaper ad promoting dental implants to the public at significantly discounted prices. These ads often offer the implant, abutment, and crown for a price that is slightly more than the cost associated with the lab fee and materials, along with a treatment expiration date. Much to the chagrin of practicing dentists in proximity to these discount offices, dental implants are being used as a loss leader—a service offered below market price to entice new patients into a practice with the goal of later selling more profitable services.1 Various dental groups on social media have tried to tackle the topic of discounted dental implants—usually with contentious debate. 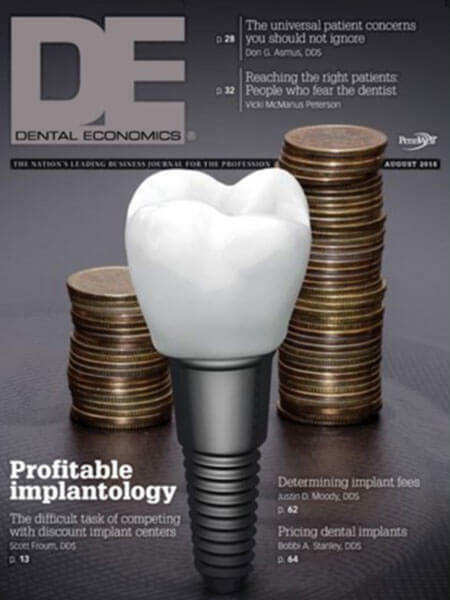 Phrases such as “commoditization of dental implants” and “race to the bottom” are used to describe practitioners and offices that advertise discounted implants. Some dentists have condemned discount dental implant centers as providing cheap, low-budget dentistry. 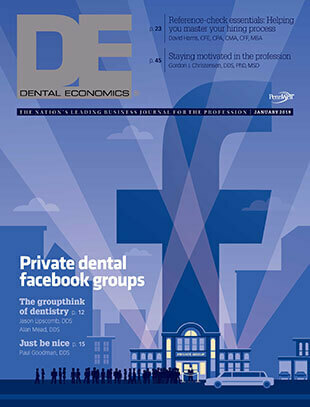 Many of these dentists have kept a business-as-usual approach and kept their normal treatment costs. On the other hand, some dentists have reduced their dental implant price to compete with discount dental implant offices and not “lose out” on potential patients. Before you decide on what approach you will take, let’s look at the history behind the growth of dental implants while keeping a few scientific and economic principles in perspective. Dental implants have become one of the most popular and rapidly growing techniques for replacing missing teeth. While their predictability, functionality, and durability make them an attractive option for patients and clinicians alike, complications can arise at any stage from patient assessment to maintenance therapy. 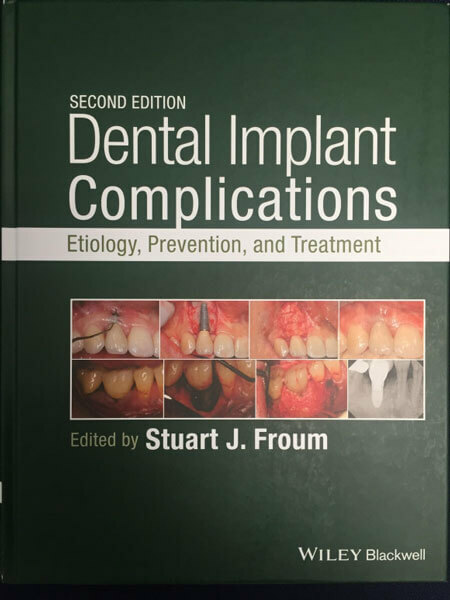 Dental Implant Complications: Etiology, Prevention, and Treatment, Second Edition, updates and expands the hallmark first edition, which was the first comprehensive reference designed to provide clinicians of all skill levels with practical instruction grounded in evidence-based research. Featuring cases from a variety of dental specialties, the book covers the most commonly occurring implant complications as well as the unique. The long-term success rate of dental implants has been well-documented in the literature1 and is a technology that has been a boon to the financial element of dentistry. Similarly, retention of teeth with moderate to advanced bone loss via various periodontal treatment methods has enjoyed similar to higher long-term success rates….